This 2013 (first Reg. 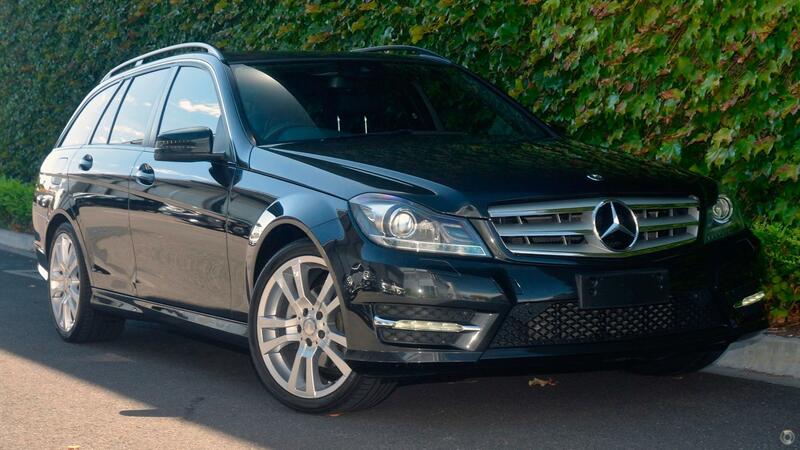 Feb 2014) Mercedes Benz C200 Wagon with only 77,000 km's is finished in Sparkling Tenorite Grey Paintwork and provides a smooth and pleasurable driving experience. Better still it also has full dealer service history and comes with 2 Years Mercedes Benz Certified Factory Warranty. Our experienced team is here to help with your enquiry - we are happy to meet you at our dealership conveniently located just west of Adelaide's CBD, or we can arrange an off-site viewing for you also. Interstate enquiries are welcomed with options available for delivery Australia wide. Our Mercedes-Benz Certified Pre-Owned vehicle has been serviced by factory trained technicians and deping on the warranty level of your vehicle will come with up to a 118 point check providing you with the opportunity to own a warrantied Mercedes-Benz with confidence and peace of mind. When we go to such lengths to comprehensively check every Mercedes-Benz Certified Pre-Owned vehicle, it should come as no surprise that all qualifying vehicles have a NATIONWIDE FACTORY WARRANTY. The Warranty is only available for Mercedes-Benz Certified Pre-Owned vehicles purchased from an authorized Mercedes-Benz dealership in Australia.